Regardless of whether you are a low-risk buy-and-hold investor or an active day trader, there are a few basic options trading strategies that you should know about. When options are used properly, they are a powerful way to reduce risk in a portfolio and generate income. For the casual investor, who perhaps only buys stock once a month, the covered call option strategy is an amazing way to generate income with essentially no additional risk. Plus, it’s a very simple strategy. It only involves selling 1 call option for every 100 shares of long stock. For example, if a trader is long 1,000 shares of HTMW stock (not a real stock) at $40 a share, he could sell a total of 10 $45 call options against his long stock. Or he could sell 10 $50 call options. The strike price of the options contracts is yours to choose! The price that options trade at will always vary, but for this example let’s assume he sold 10 calls for $0.30 each. Because each option contract is equal to 100 shares, the trader will receive $300 in call option premium for placing this trade! As long as HTMW is below $45 by the time the option is set to expire, the trader will keep his 1,000 shares of stock and the $300. It is important to know that regardless of what happens, the trader will always keep the $300 in option premium. If the stock is above $45 at expiration, the 1,000 shares will be called away to cover the 10 short call options, but that would result in a profit of $5 per share, or $5,000 plus the $300 in premium already received! This is what makes covered calls so popular among buy-and-hold investors. If the stock rallies, the trader will profit, and if the stock sells-off, the trader will lose money, but the amazing thing about covered calls is that they cushion some of the downside movement. In this case, the $300 in call option premium would offset minor declines in the stock. Moreover, if the trader never sold the calls in the first place, he wouldn’t have this downside cushion and he would technically lose more money if the stock declined. The only thing covered calls do is limit the potential max profit of a trade. If HTMW went to infinity, it wouldn’t do the trader any good. But how frequently do stocks go to infinity? It’s far more likely that the trader will keep collecting the call option premium! If this trade is repeated with 60 days until expiration only 5 separate times per year, assuming the stock is never called away, it would result in a $1,500 profit for doing nothing! Pretty sweet! With all of this said, some investors want more action. They don’t want to trade only 5 times every year. For active traders who are comfortable with a little more risk, they can look into selling options without simultaneously having a position in the underlying stock. This is commonly referred to as “selling options naked.” Essentially, instead of covering the short call position with 1,000 shares of HTMW, the trader would just sell the 10 call options and collect the $300 in premium. Why would anyone want to do this? Well, the main reason is that the trade has no downside risk. Meaning, if stock HTMW collapsed to zero, it would wipe out the option seller who’s position is covered with long shares. Selling options without covering the trade is highly risky, but that means the reward is also better. Additionally, it often requires less capital to sell options naked. However, active traders willing to speculate in an attempt to generate higher returns are not just limited to selling calls. The other popular options tactic is to capture put option premium by selling puts either naked or cash-secured. Just like in the example above, a trader could sell 10 $35 put options of HTMW and collect all of the premium as long as HTMW stays above $35 by the time the options expire. Since this is effectively the opposite position of selling calls, instead of being long 1,000 shares to cover the position, the put seller would have to be short 1,000 shares to cover the position. But advanced traders often don’t see the need to cover their positions, because they’d rather just use leverage and close out the position if it comes to it. At the end of the day, options trading offers so many additional ways to make (and potentially lose) money than the boring old “stock market” does. Whether you’re an active trader or a diehard buy-and-hold investor, it behooves you to look at the “options” (no pun intended) that options trading gives you! There’s something for everyone! More information on options trading strategies and tips, like finding the best options brokers or learning the nuances of the option straddle, can be found at The Options Bro. Successful investing does not come easy; there’s no question about it. There are too many participants in too many markets for “free” or “easy money” to be left on the table. Therefore, when looking across varying markets like real estate, equities, bonds, stock options, and even fine art, the concept of buying low and selling high (or vice versa) is significantly harder than it sounds. With that being said, however, it certainly helps to learn from investors who have found success themselves and analyze exactly what they do that differentiates them from the mass amount of unsuccessful investors. With a little determination, resourcefulness, and the proper habits, successfully investing in any type of market might just become a little easier. These are some of the traits and habits used by professional money managers and successful investors alike: Setting Goals Having clear, well thought-out targets and goals for any given investment is totally mission critical, and professional money managers do this before they even raise capital to invest. In fact, when hedge funds are looking to raise new capital to invest, they almost always present clear and concise goals and targets (to whomever is supplying the money) for the return on investment the fund hopes to achieve. On a personal investment level, the idea of setting goals can come in the form of something as simple as setting aside enough money to purchase a few shares of a stock every month. By knowing the amount of money you want to have invested by a certain period in time, i.e. having a clear-cut investment goal, you can begin to map out an investment plan that will, hopefully, lead to investment success. Knowing Your Options It almost goes without saying that successful investors use every tool available in the market. It’s almost impossible for any successful hedge fund or institution to make money solely trading stocks. Nowadays, more and more funds and individual traders are using call options and put options to create various options trading strategies that increase their investment odds of success. Not only can options reduce cost basis, but they can also be used to hedge passive equity positions. Basically, the bottom line is that it’s incredibly difficult to generate sustainable alpha from only one asset class, especially one as mainstream as stocks. Having a Plan & Sticking to it Tying into the idea of having goals, you better believe that successful investors managing hundreds of millions (if not billions) of dollars have every inch of their investment plan mapped out. They have a certain amount of funds dedicated solely to buying calls, selling puts, trading iron condors, etc. For the most part, this concept of allocating funds stays pretty consistent to adhere to some of the key principals of diversification, which is another common habit and trait that successful investors share. Wise investors know not to allocate too much capital to any one investment or trading strategy, while simultaneously knowing they must allocate enough capital to make it worthwhile; a balance definitely exists in professional’s plans. Having Realistic Expectations With an investment plan mentally or physically mapped out, and several trading strategies ready-to-go, professional investors still stay realistic about what to expect from the market. And this goes for both up and down moves. In terms of the stock market, unless professional investors or traders are not uncertain that an economic event or other binary report will dramatically influence the price of a certain equity or equity index (i.e. insider trading), they are by no means seeking 500% returns on an individual investment. Why? Because returns of this nature simply don’t exist on a consistent basis, and successful investors are acutely aware of this fact. Instead, having a realistic expectation for the healthy, but not outlandish, returns that an investment will likely deliver keeps professionals on a successful track. Perseverance It’s naive to think trading stocks or trading options will be perfectly easy and come without any hiccups and hardships along the way. Investments of any kind are obviously not guaranteed to work, but the odds of them working, in general, tend to increase on a longer time horizon as opposed to a shorter time horizon. What this means is, if someone buys a house and the value immediately decreases within a month, that person could sell the house and take the loss, or they could persevere and not be overly concerned with short-term price fluctuations. Anyone who has ever tried investing will almost certainly tell you misfortune can and will happen at some point, especially in the immediate short-term. And this is only natural, because, like a rollercoaster at an amusement park, investing has ups and downs. Successful investors have been riding this roller coaster for a long time, so they take the bumps in stride, knowing that staying on the ride and not hastily aborting will be paramount to their investment success. Staying in the Market Above all, those who have no exposure to the stock market just don’t have the possibility of being successful. For example, Warren Buffet, one of the most successful investors in modern history, would not have anywhere near the amount of wealth he has now if he were not constantly shorting put options in the market during such a burgeoning time in America. From the mom and pop companies of the mid 1930s to the ubiquitous billion dollar tech startups of the 21st century, Buffett had exposure to everything and was subsequently able to grow his fortune enormously. So although it may seem plainly obvious, the most common habit successful investors share is simply being present in the market over a long period of time. Hence, the first step towards being a successful investor is simply being invested in a particular market – or many different markets. You can’t win if you never play the game. 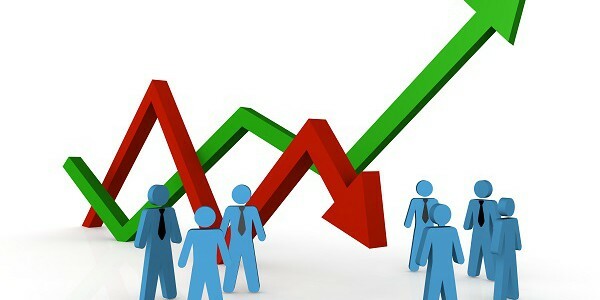 More information about stock options trading can be found at The Options Bro.